Vancouver Island stretches for almost 500km from the historical BC capital of Victoria in the southwest to the wild and rugged Cape Scott at the northern tip. The island is home to one of the world’s most diverse ecosystems, including rainforests, beaches, mountains, oceans, rivers and lakes that create habitats for a rich diversity of wildlife. Vancouver Island has an equally rich cultural history; Canada’s First Nations’ peoples have resided here for millennia and their cultures are interwoven with the region’s abundant natural resources. Many of the island’s communities are vibrant and artistic; originally founded on logging or fishing, and increasingly catering to travellers seeking outdoor adventure. 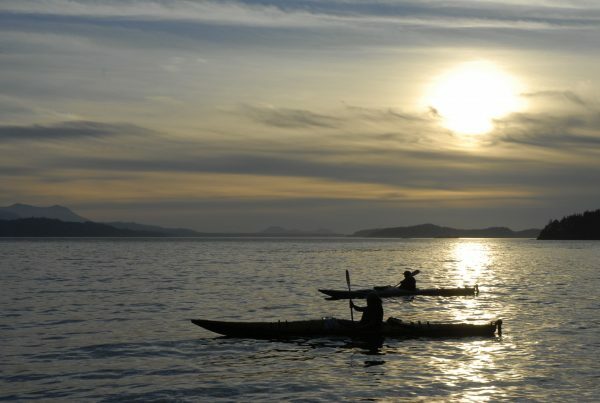 Vancouver Island is home to one of the world’s premier kayaking destinations. The Johnstone Strait separates British Columbia’s northern Vancouver Island from the mainland. It is a kayaker’s paradise with countless islands, inlets, and estuaries to explore. The Johnstone Strait’s most alluring feature is the chance to kayak among orcas; considered by many to be the world’s best spot for watching killer whales in the wild. Other exceptional kayaking destinations include the Broughton Archipelago, Desolation Sound, and the Nuchatlitz Marine Park on the West Coast. Vancouver Island offers outdoor activities for every taste and ability level. 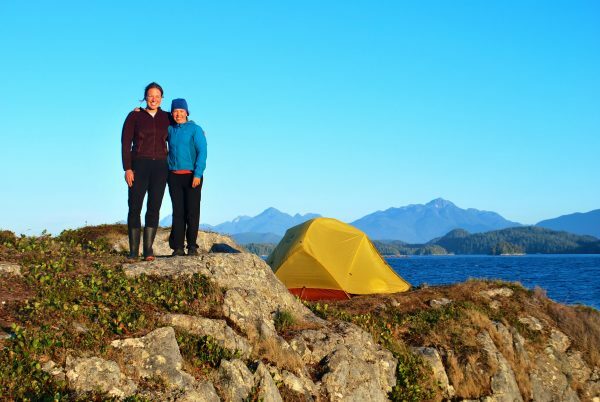 Hikers might choose to tackle one of Vancouver Island’s challenging coastal routes such as the West Coast Trail or the Juan de Fuca Trail. Surfers should make a stop in Tofino on the west coast of the Island with its 35km of surfable beaches. En route to the west coast is Cathedral Grove, one of the most accessible stands of giant Douglas fir trees on Vancouver Island, some more than 800 years old. Mountain bikers will be in heaven with a visit to the mountain town of Cumberland in the Comox Valley; with a varied selection of trails and easy access. Other great spots for bikers include neighbouring Campbell River, Quadra Island and Hornby Island. 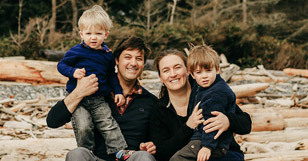 For visitors arriving in winter; Vancouver Island is bisected, north to south, by the Beaufort Mountain Range, which is home to one of Canada’s biggest natural ski bases and the Island’s Mount Washington and Mount Cain Alpine Resorts. Other popular activities on Vancouver Island include rock climbing, caving, golf, whale watching, wildlife tours, stand up paddle boarding, zip lining, wilderness camping and fishing, amongst others. There is plenty to do indoors as well. Visit museums and heritage sites, enjoy live theatre and music, browse art galleries and boutiques, or relax at a luxury spa or natural hot spring. Food fans will enjoy the wonderful selection of restaurants and farmers’ markets. Families will enjoy the many parks, beaches and recreation centres, as well a wide range of family friendly wildlife tour and activity options available from local outfitters. The natural beauty of this region has been a strong attraction for many artists and artisans. Art galleries, studios and shops selling unique, locally produced arts and crafts can be found in many communities.